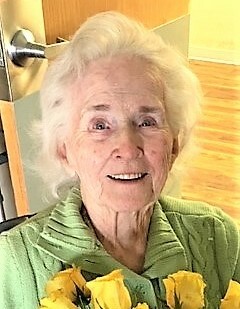 Chloe Wakefield Brown, 93, a resident of Calvert Manor Healthcare Center, Rising Sun, MD, formerly of Martinsburg, passed away Wednesday evening, January 23, 2019, at the center. She was born in Orbisonia, daughter of the late Walter W. and Ella L. (Bucher) Wakefield. On October 24, 1948, she married Kenneth T. Brown in Rockhill Furnace and he preceded her in death on July 15, 2006. 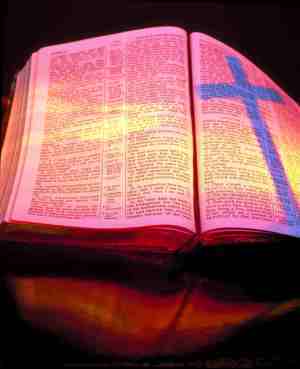 Surviving are two sons: Daniel K. (Louann) of West Grove and Jeffrey T. of Las Vegas, NV; two daughters: Melissa J. (Martin) Davis of Warren, OH and Molly J. (Mark) Knox in WV; eight grandchildren: Jeffrey, Dustyn, Joey, Jenna, Lindsay, Courtney, Crystal, Christopher; and several great-grandchildren. Chloe loved and was loved by countless relatives and friends. Chloe was preceded in death by two brothers: W. William and N. Dale Wakefield. 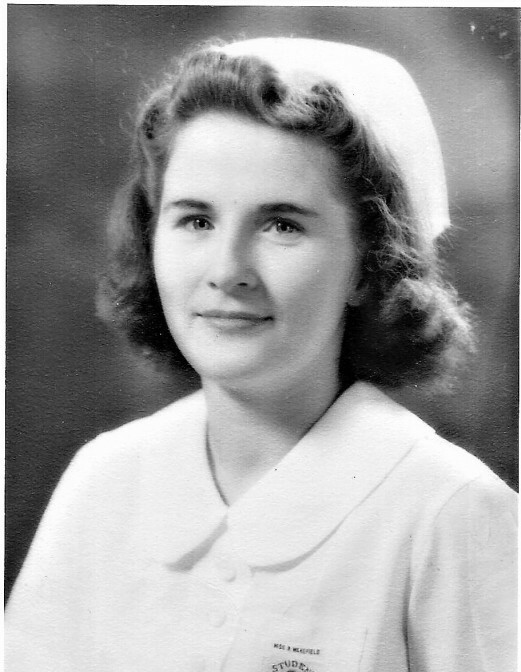 She graduated from Orbisonia High School and afterward attended and graduated from Lewistown Hospital School of Nursing as a Registered Nurse. Chloe first worked as an office nurse for her uncle Walter (“Sonny”) Watkin, M.D. in Saltillo. After marrying Kenny they moved to Akron, OH where Kenny took a job with the Firestone Tire & Rubber Company. She continued to work as an office nurse for another 30+ years, first with a pediatrician and later for two oncologists in Akron. She was an active member of the Akron First Church of the Brethren and Memorial Church of the Brethren. There were not too many church activities in which Chloe didn’t participate, but she especially loved singing in the choir and playing the organ. She could also play the piano, clarinet and saxophone. Chloe loved to travel and vacationed in all but one of the United States, Alaska. She also managed to visit Ireland and the other British Isles. Chloe was active in Eastern Star during her life in Akron. Friends will be received from 6-8 pm, Monday, January 28, 2019, at John K. Bolger Funeral Home Inc., Martinsburg and from 10 until the 11 am funeral service, Tuesday, January 29, 2019, at Martinsburg Memorial Church of the Brethren, Chaplain Linda Banaszak and Pastor Chris Garretson officiating. Private interment will be held at Cornelius Chapel Cemetery, Mapleton Depot. Memorial contributions in memory of Chloe can be given to the charity of your choice.